Our Harlequin sheep are registered with the HSSR. This amazing breed was developed here in the United States and are well known for their spotted wool that is typically fine to medium coarse. They are also one of the few sheep breeds that can have blue eyes....a rarity in the sheep world. They weigh less than 100 lbs at maturity, making them easy to handle. ​Hardy and healthy, they have been bred to be disease and parasite resistant. They work well for grazing and maintaining lawns, pastures, vineyards and orchards. They make wonderful pets! 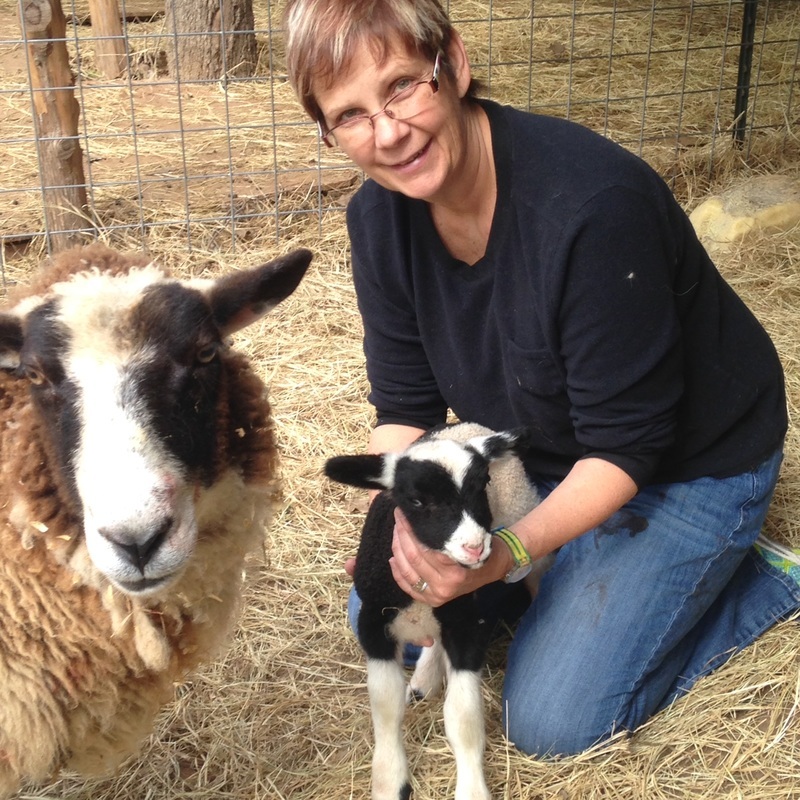 Friendly, social, curious and just downright adorable, Harlequin sheep make a wonderful addition to your family! Our 2019 Spring lambs are here! We have two boys available including a C generation which would be a great addition to your breeding program. We can sell you the rams intact or have them wethered. Contact us to reserve your lambs before they are sold out! In 2018 we decided to offer our lambs at "babydoll" prices. This is an effort to bring more awareness to this wonderful breed. We ask for a 50% non refundable deposit to reserve the lamb of your choice.